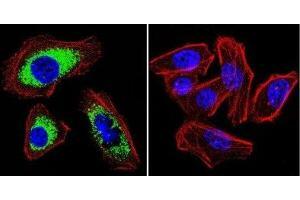 Immunocytochemistry/Immunofluorescence: SERCA2 ATPase Antibody (2A7-A1) [ABIN152736] - SERCA2 ATPase staining (green), F-Actin staining with Phalloidin (red) and nuclei with DAPI (blue) is shown. 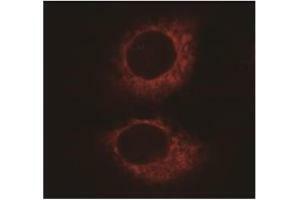 Cells were grown on chamber slides and fixed with formaldehyde prior to staining. 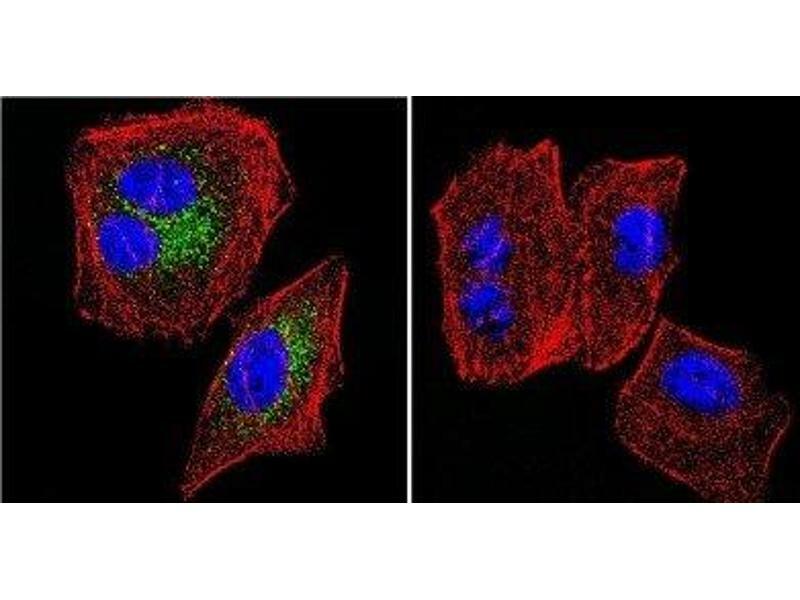 Cells were probed without (control) or with or an antibody recognizing SERCA2 ATPase at a dilution of 1:100-1:200 over night at 4C, washed with PBS and incubated with a DyLight-488 conjugated. 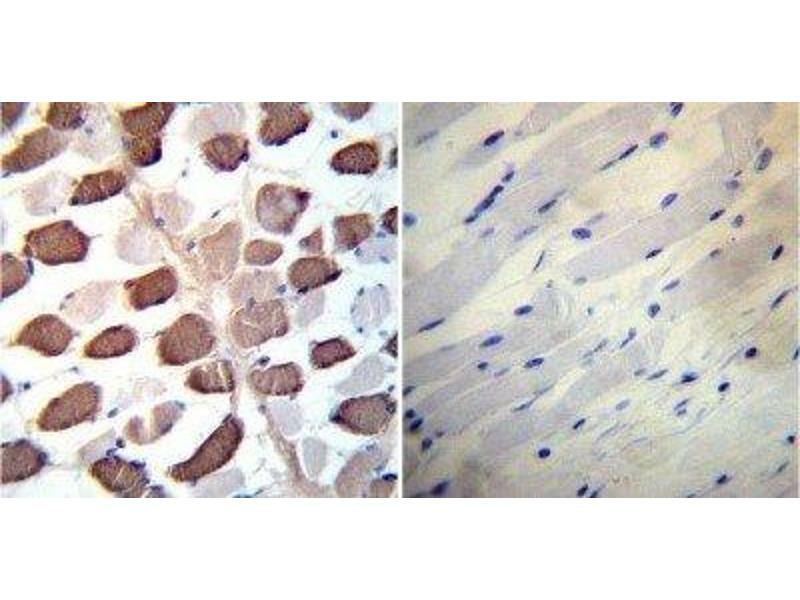 Immunohistochemistry-Paraffin: SERCA2 ATPase Antibody (2A7-A1) [ABIN152736] - Both normal and cancer biopsies of deparaffinized Human skeletal muscle tissues. 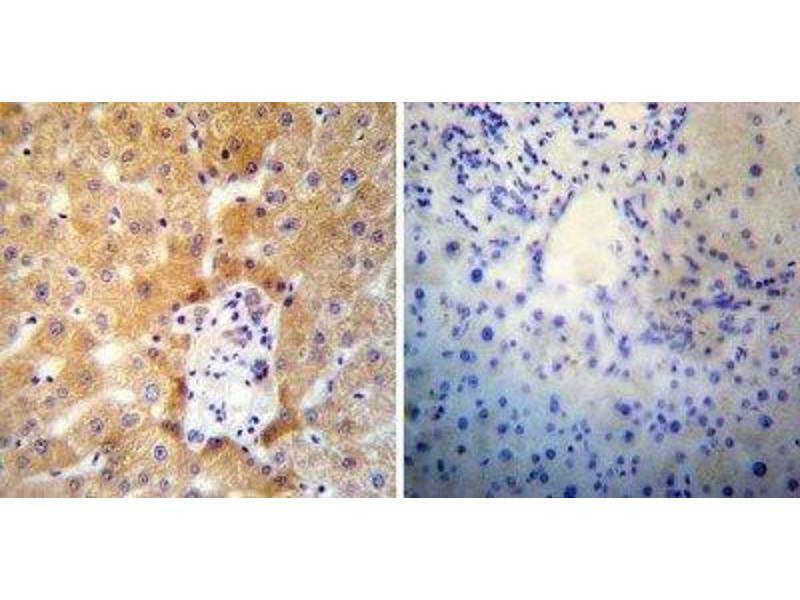 Immunohistochemistry-Paraffin: SERCA2 ATPase Antibody (2A7-A1) [ABIN152736] - Both normal and cancer biopsies of deparaffinized Human liver tissues. 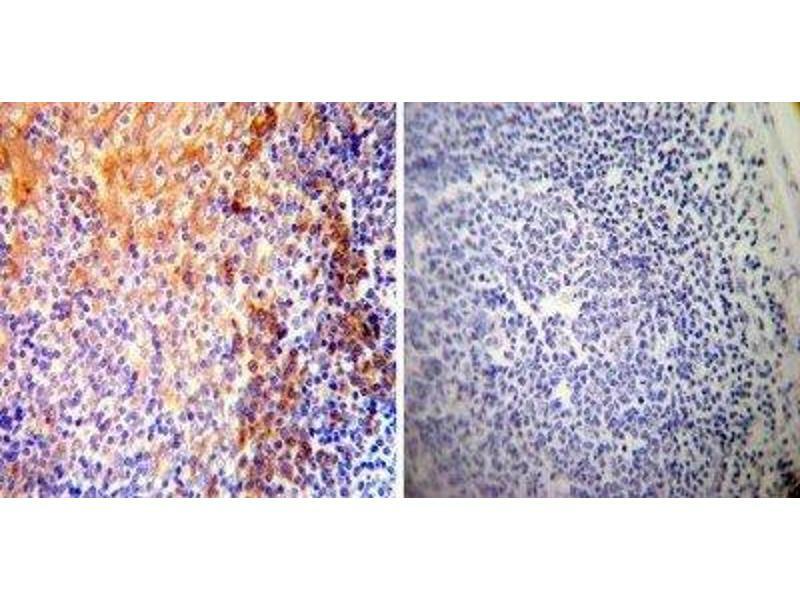 Immunohistochemistry-Paraffin: SERCA2 ATPase Antibody (2A7-A1) [ABIN152736] - Both normal and cancer biopsies of deparaffinized Human tonsil tissues. 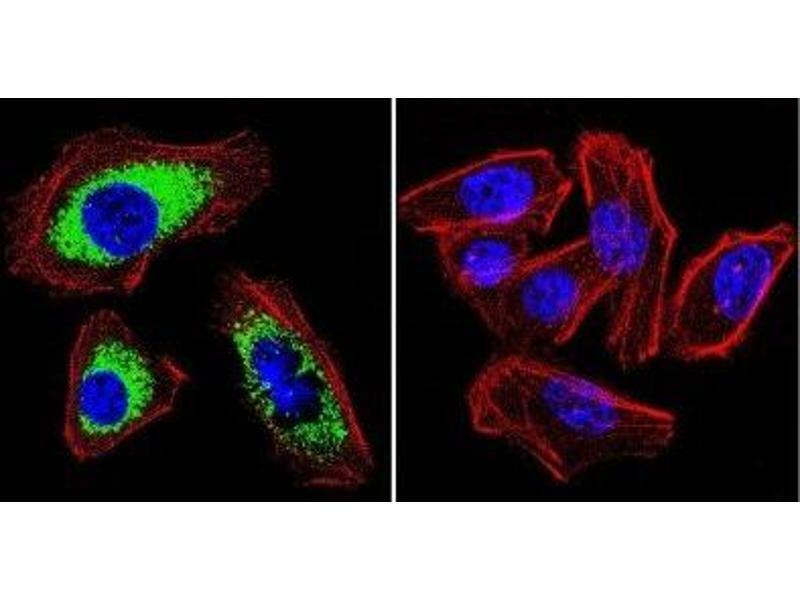 Specificité Detects sarcoplasmic or endoplasmic reticulum calcium (SERCA) 2 ATPase. 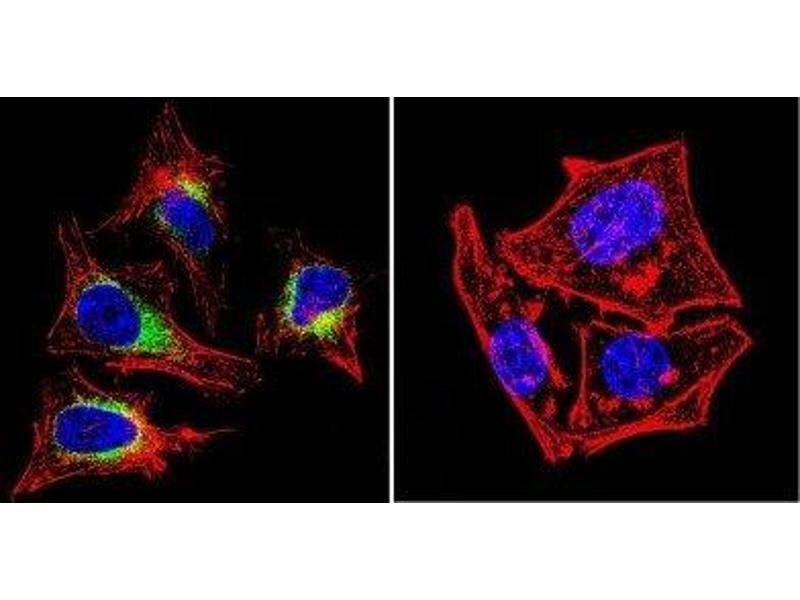 NB300-581 recognizes the SERCA2a and SERCA2b isoforms identically. 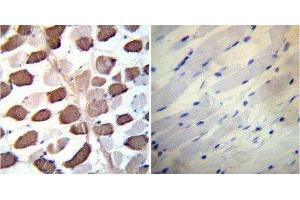 However, the antibody does not recognize the skeletal muscle (SERCA1) or housekeeping isoforms (SERCA3). Réactivité croisée (Details) Not yet tested in other species. 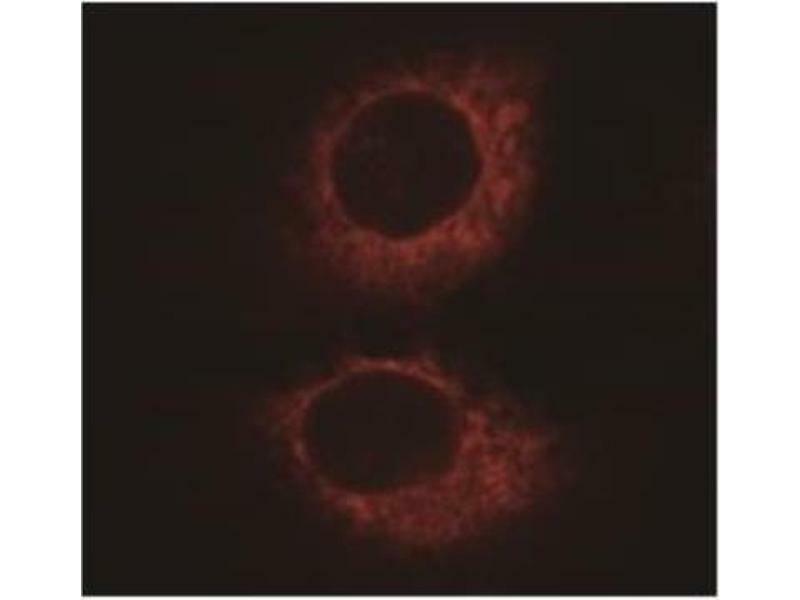 Immunogène Purified canine cardiac sarcoplasmic reticulum vesicles. 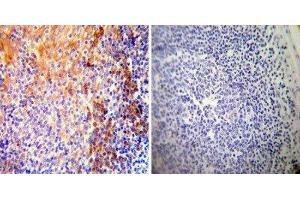 Indications d'application Western Blot 1:1000, Flow Cytometry 1 μg/ 10^6 cells, Immunohistochemistry 1:100, Immunoprecipitation 1:10 - 1:500, Immunohistochemistry-Paraffin 1 μg/mL, Immunohistochemistry-Frozen 1:100, Immunofluorescence 1:100 - 1:200, Immunocytochemistry 1:250WB: Detects an approx. 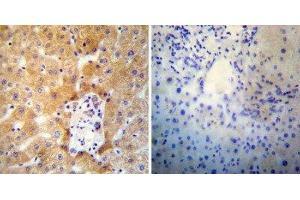 110 kDa protein representing SERCA2 ATPase in rat cardiac tissue. Used in IHC-Fr. 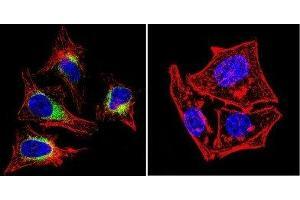 Immunocytochemistry/Immunofluorescence: SERCA2 ATPase Antibody (2A7-A1) - HeLa cells. 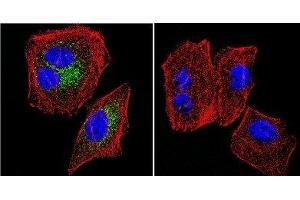 Primary antibody at 1:100, secondary antibody: goat-anti mouse IgG AlexaFluor 568 at 1:100. Image from verified customer review.